Note: If you want to read this text in Macedonian, click here. This text was first published on February 3rd 2007, approximately 3 years ago, a period during which many things have changed in Stock Photography. The main goal of this text is to renew already existing information and to provide new one. Meanwhile, agencies that started the new trend of selling images at low prices i.e. Microstock Photography, are no longer a new and rare thing but they have developed into multi million dollar agencies which safely but surely start to attract larger number of diverse clients. The traditional Stock Photography is photography used for commercial purposes, where photographs are sold through large stock agencies such as Getty images, Corbis, etc, and the customer is charged each time the photograph is used. 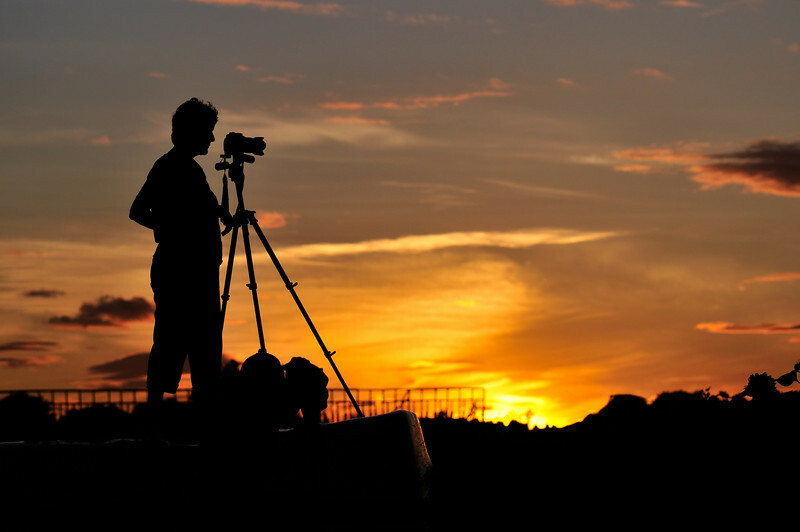 By buying a photograph, the client usually owns the exclusive rights to use the photograph for a limited period of time, most often for one year. However, it is not unusual for the client to buy out the exclusive rights for the photograph as well. The price is based on the duration of the contract, exclusivity etc. Most of the photographers who submit their photographs to this kind of stock agencies are professional photographers. The newer type or the so called Microstock Photography has appeared in the last couple of years together with the expansion of the internet, and it is a new type of business model in the field of sale of commercial photography. 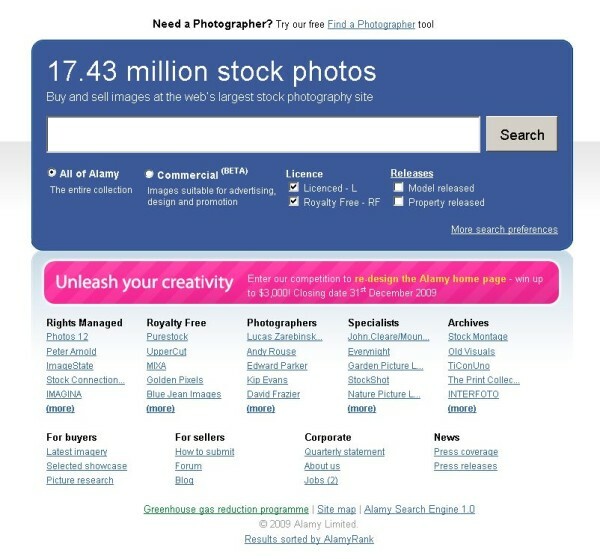 The most popular stock agencies are Shutterstock, iStockphoto, Dreamstime, etc. Microstock Photography is characterized by the term Royalty Free which means paying a certain amount of money for using the photograph for an unlimited period of time. Also, this type of stock photography is different from the traditional, Rights Managed type of stock photography, because none of the clients owns the exclusive rights to use the photograph, i.e. the same photograph can be sold unlimited times to an unlimited number of clients. The price is usually fixed and affordable, even to people admirers of good photography who just want to decorate their desktop background. Large numbers of photographers who submit their photographs to this type of stock agencies are photo-enthusiasts, amateurs, people who take photography as their hobby (Update 2010: in the meantime, the number of professional photographers who started submitting photographs to this type of agencies constantly increases), however this does not mean that their photographs are far behind the ones from professional photographers in terms of quality, aesthetics, etc. Stock Photography is mostly used in magazines, brochures, internet sites, as advertising and promotional material, etc. Each stock photograph which is submitted to any of the stock agencies has to meet certain aesthetic, technical and other requirements and it also has to be copyright free. This means that the photograph must not contain any visible name, sign or logo of a brand in order to be accepted at one of the microstock agencies. This means that one must be well familiar with the clone and patch tools in Photoshop and use them well. Any photograph that contains a face, which can be recognized and identified, must be accompanied with a Model Release form (agreement and permission to publish the photography). Also, photographs that contain a face of a minor, that can be recognized and identified, must be accompanied with a Model Release form for Minor – signed by the parent/guardian. Recently, most of the agencies practice a Model Release form even for photographs where the person’s face cannot be clearly seen, the person is photographed from behind or the image is blurred; however they can still be identified by their clothing, background, location etc. Because each Microstock agency has a different form of Model Release and in order not to be in a situation to have the model sign different Model Release for each agency each time there is a photo shoot, one Generic (general for all agencies) Model Release form is sufficient. The Generic Model Release form in MS Word format can be downloaded from here, while a generic Model release for Minors here. Searching the photography database in each agency is done through keywords that describe the photograph. For example, if the buyer wants to buy a photograph of the Eiffel Tower in Paris, he needs to type “Eiffel, Tower, Paris, France” into the search engine in order to see all the photographs that contain the Eiffel Tower in Paris. Therefore, a clear and correctly written description and keywords are a very important factor, which is sometimes neglected by the photographers. A correctly described photograph has a better chance to be seen by potential buyers than a perfect photograph with a poor description and inappropriate key words. Adding the keywords to your photographs can be done before the upload itself, because all microstock agencies have IPTC support. The system detects and extracts the keywords by itself from the metadata of your photograph; a thing which is very useful so that the photographer does not have to manually do that for each microstock agency and each photograph. Each photograph must be described with at least 7 and at the most 50 keywords separated by commas in order to allow the IPTC support. One of the best ways to enter the keywords is in the Adobe Bridge, because you don’t need to install extra software (assuming that you already have installed Photoshop) and because Adobe Bridge does not compress the photograph, only changes the metadata. Adding keywords to the photograph is done through Adobe Bridge in the keywords area with the claw shortcut: CTRL+ALT+SHIFT+I. Afterwards you just close the Adobe Bridge and your key words will be inserted in your photograph. Also, membership in any microstock agency is free of charge. Update 2010: With the ability of the contemporary DSLR cameras to record video, the sale of stock footage or stock video clips is becoming more and more popular. You can submit Stock footage to Shutterstock, iStockphoto, Fotolia, Stockexpert and Pond 5. Pond 5 is an agency that works exclusively with stock footage, i.e. an agency where you can not send photographs and is also one of the leading agencies in video clip sale. What is necessary to become a stock photographer? Stock photography and especially Microstock Photography is ruthless regarding the technical aspects of photography. Each photograph must satisfy strict criteria in order to be accepted by the stock agencies. As an example, I would highlight the low level of artifacts and noise that is allowed, any exceptions in the focus is sanctioned (the main subject must be 100% in focus), the composition must be appropriate to the subject, each photograph must contain appropriate keywords, etc. (you would not believe the reasons for which they reject certain photographs). As in any other aspects in modern photography, Photoshop is your best friend. The more you know how to use it, the easier it would be to reach the desired results and level of quality in your photography. The usage of DSLR cameras will make your job much easier because DSLR cameras are much superior regarding the quality offered in Point & Shoot cameras, bridge cameras and those similar to them. Although using P&S and bridge cameras and submitting the photographs to one of the microstock agencies is not a mission impossible, you would be far better off with a DSLR than with a Point & Shoot. Update 2010: Today, rarely somebody would even dare to send photographs made by anything else than DSLR. As time passed the technical criteria raised as well. Creativity and originality are highly appreciated in the world of Microstock Photography as everywhere else. Nevertheless, Stock Photography and especially Microstock Photography, is not as easy as it looks. The photographer is not only responsible for the creation of the photograph, but also for uploading the photo to an agency, entering the keywords for its easier finding, categorization of the photograph etc. And each of these things must be done for every agency and every photograph. Even though there are ways of making this process automated - something provided by certain companies for a fee (more on this further in the text), there is a lot of work involved indeed. An overview of the two largest Microstock agencies. 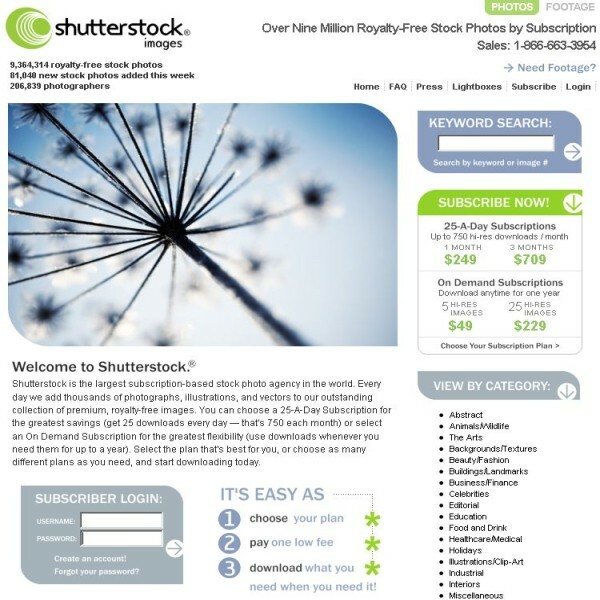 Shutterstock is the first agency that introduced the model of subscription and achieved a great success. Namely, the agency offers a daily download of up to 25 photographs for a monthly subscription of $159 and it has become one of the most attractive agencies among the users of stock photography. The price of a downloaded photograph reaches an incredibly low rate of just $ 0.25. Taking into consideration that photographers earn $ 0.25 with each download of their photograph, one must ask where is the profitability in all this? However, the agency thrives and profits from the fact that not all users download the 25 photographs allowed daily (how many of you try everything that has been served in a buffet?) and surely not every day. The sale during the weekends is slow and with the payment limit of $75, not all photographers reach this limit monthly. Having this in mind, Shutterstock is left with a considerable amount of money in its disposition. Update 2010: The monthly subscription at this moment is $259 for 25 downloaded photographs per day. Increasing the subscription increased the royalty of the photographer as well, making it from $0.25 up to $0.38, depending on the photographer’s rank. After creating an account at Shutterstock you need to upload an ID document (passport is the best solution since it is written in Latin letters for all those people where non-Latin alphabet is the standard) and 10 best photographs from your portfolio – the best meaning in a technical sense (focus, noise, composition etc.) as well as usage. Do not forget that this is commercial photography – here you can’t find photographs from Adams, Bresson etc. Keep your art photographs for yourselves. In order to be accepted as a stock photographer, you need to send in 10 photographs out of which 7 must be accepted. You can upload your photographs though an FTP (a very useful method) and HTML. The evaluation of your photographs does not last longer than 10 days. After 10 days you receive a report stating whether or not you have been accepted (in case you are rejected you have to wait for a month to apply again) and once you are accepted you can continue uploading your photographs. The limit of payment is $75. The payment is done once a month on the 1st, depending whether your account has reached the limit of $75. The payment is done through Paypal, Мoneybookers or a post-cheque. I will only add that Shutterstock allows submitting photographs which do not have Model Release forms as editorial photographs. All photographs must be taken with at least 4MP camera. iStockphoto is the pioneer in many things regarding Microstock Photography. 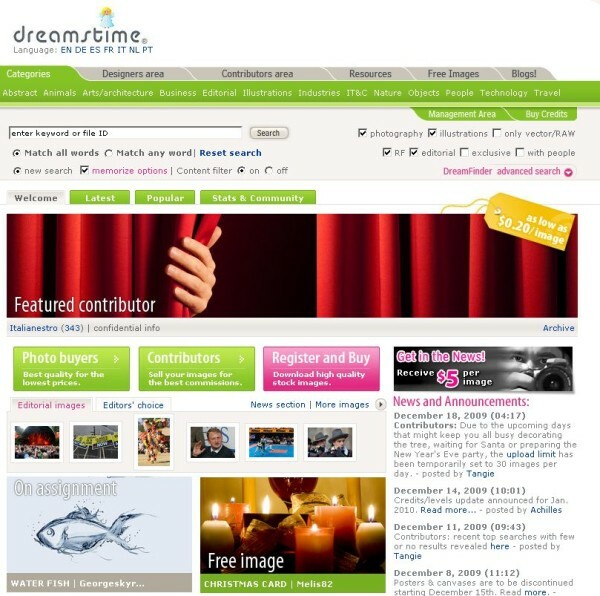 First, it is the agency that started the whole trend of Microstock agencies. In the beginning it was a place where designers and photographers from all over the world used to exchange their photographs, designs, ideas etc. and this was the basis to create the largest Microstock agency, which in 2006 became a part of Getty images family for “only” 50 million dollars!!! iStockphoto is an agency quite different from the other microstock agencies because it has always valued and supported art photography (fell free to surf through the site of iStockphoto and you will be surprised by the aesthetic values on some of their photographs) even though this type of photography is not very popular among the designers and the clients. Also, iStockphoto is the first agency which has provided exclusivity of the photographs they offer. 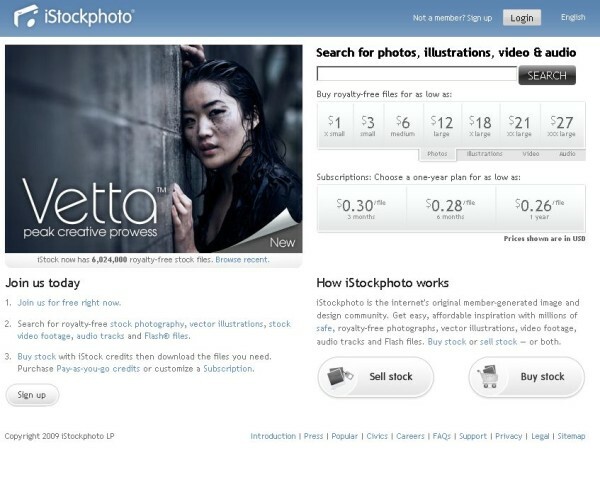 Each of the photographers who are members of iStockphoto, have the option to become exclusive photographers of iStockphoto after they sell 500 photographs, and with that, they are privileged with a larger sale commission, bigger number of uploads permitted from the un-exclusives, better search position when the clients search the agency’s photography database, free business cards, etc). All the exclusive photographers of iStockphoto that have over several thousand downloaded photographs, have the chance to directly sell their photographs at Getty images. Also, iStockphoto offers an option for publishing a blog, inserting links, creating your own group of friends and some other things which you have not even thought about. (ex.Istockalypse in Ljubljana). Becoming a member of iStockphoto is possible with an invitation by another member of iStockphoto or individually by creating an account. After creating an account at iStockphoto you will need to upload a document for personal identification, complete a “training” consisted of survey with several questions and after that you upload several of your best photographs on your portfolio (around 3). 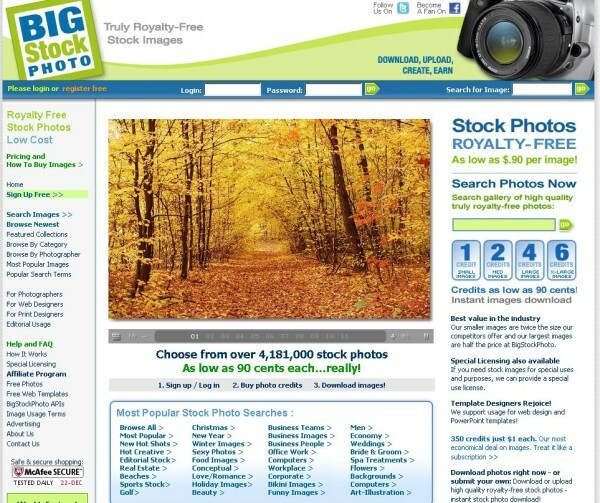 The photographs can be uploaded through HTML or the free software that is provided by iStockphoto. The process of evaluating your photographs lasts no longer than 10 days and becoming a member of iStockphoto is generally much easier than that of Shutterstock. For 18 dollars one can purchase 12 Credits and photographer’s commission is 20%. Each year on January the 7th iStockphoto updates the prices and there is usually an increase, therefore this year on the 7th January the prices will probably change too. The limit of payment is $100 and the payment is done when one earns at least $100, i.e. you do not have to wait until the 1st of the month. The payment is done through Paypal, Мoneybookers or a post-cheque. Just to add that iStockphoto are much more strict compared to other microstock agencies regarding the description of your photographs with keywords due to their uber-intelligent search engine, and therefore keywords must be carefully selected and correctly used when describing the photograph (keyword spamming is strictly forbidden). The photographs must be taken with at least a 2MP camera. In the end, besides the love for the photography and the thrill of seeing your own photograph published somewhere in a magazine, newspaper, website – one must ask the question - how much will I profit from all this? Well, it depends on many factors. Do not forget that due to the fact that many agencies are part of the Microstock group of stock agencies, where there is no exclusivity on a photograph, one photograph can be resold many times during the day, every day, every week etc. Some photographers can earn $100 a day while some need 100 days to earn $1- the quality of the photograph, the originality, the size of the portfolio and other factors are decisive. Nevertheless, with hard work and good photographic skill you might not need to spend your own money on camera/lens ever again. In addition, I would like to mention the remaining microstock agencies, which are not so far behind Shutterstock and iStockphoto in size and importance, and are agencies which are the next logic agencies which one should focus on. The conditions are very similar to Shutterstock and iStockphoto. Far behind the 4 microstock agencies are the following agencies which have the similar conditions as Shutterstock and iStockphoto. 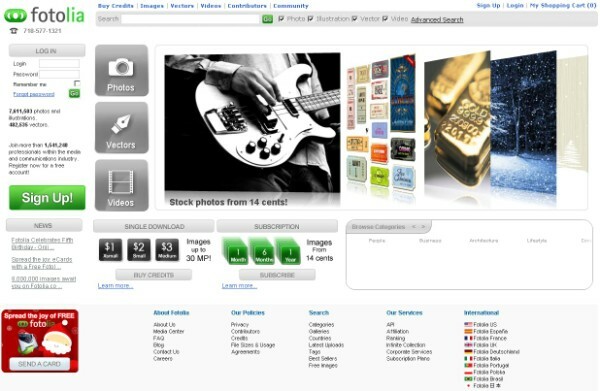 Bigstockphoto – In 2009 was purchased by Shutterstock. 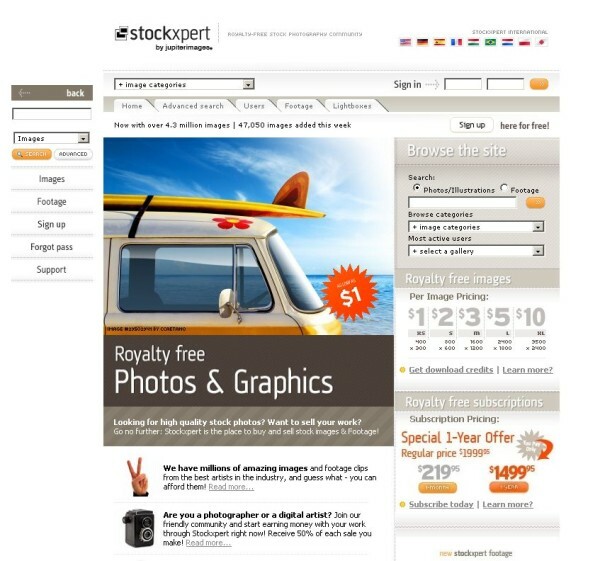 StockXpert – In 2009 was purchased by Getty images group. The same group is the owner of the iStockphoto. Alamy images – A leading traditional British agency where you can send Royalty Free and Rights Managed photographs and where the prices are much higher than the previously mentioned micrstock agencies. LjSphotography stock photography resources – Place where you can find useful links, different materials and free software that should help you streamline your stock photography more efficiently I try to update the information frequently, so check this site from time to time for new and interesting things related to stock photography. Microstock Group Forum – A forum dedicated only to Microstock photographers. Strobist – an excellent site where you can learn everything you want to know about off camera lightning – I recommend it to everyone! Strobist group on Flickr and discussion forum – a place to learn about off camera lightning with lightning diagrams, pictures of set-ups, etc. iSYNDiCA – An agency that for a certain fee, transfers all your photographs once you have uploaded them to all agencies you wish to cooperate with, categorized them and sends them to evaluation. This is useful for those with internet bandwith limit, because they do not need to upload the same photograph or video several times. Lookstat – An agency that for a certain fee will review your photographs, enter keywords and send them to all agencies you wish to cooperate with.